For Sochi, exciting and interesting events didn’t end in 2014. After a few years, this biggest Russian resort city is back on the world stage as it hosts the 2018 World Cup. As you may know, MeetnGreetMe supports the upcoming World Cup in Russia and helps tourists with every inquiry. 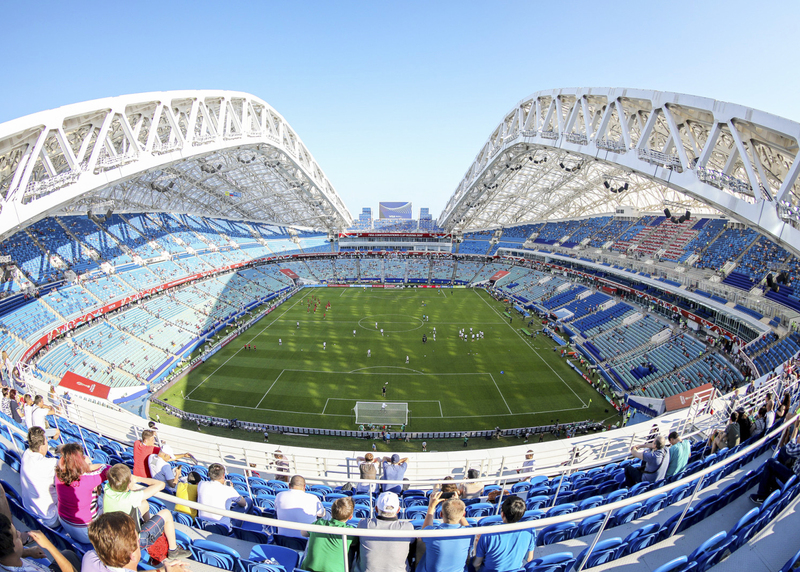 Today we are continuing a series of articles about 11 host cities of the FIFA Championship and talking about the sunny city of Sochi. Sochi is a city in Krasnodar Krai, Russia, located on the Black Sea coast not far from the border between Georgia/Abkhazia and Russia. It is Russia’s largest resort city (with a population of 402,000 people) and one of the very few places in Russia with a subtropical climate, warm to hot summers and mild winters. 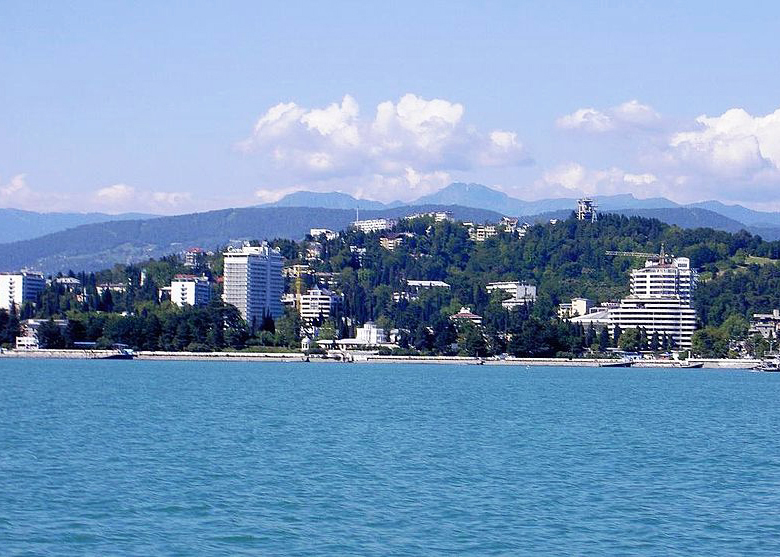 Sochi is the Russian Riviera – it is almost all mountains, forest, and beach. Sand beaches stretch nearly 30 kilometers along the Black Sea coast. 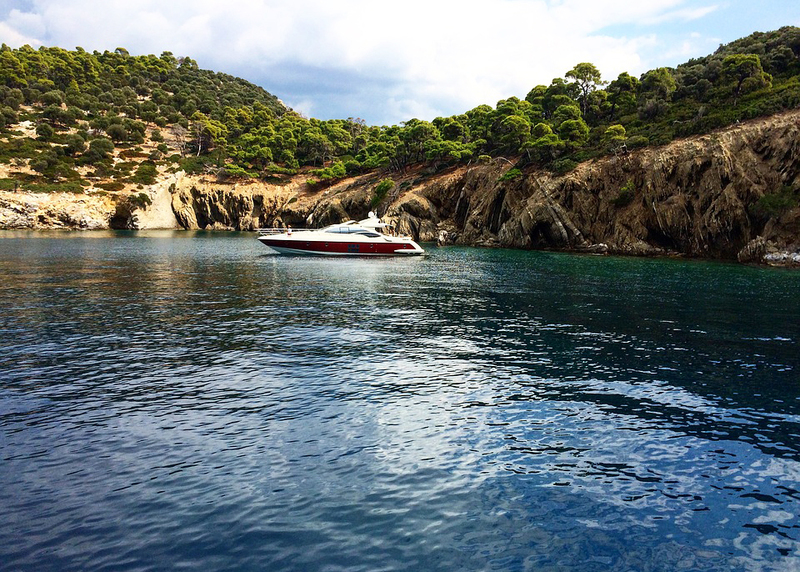 Here you can swim in the sea from April through October, and ski on the nearby slopes from October to May. More than 80% of the territory is a part of a national park or the Caucasian State Biosphere Reserve. Because of this, the city offers countless opportunities for sports: mountain climbing, hang-gliding, diving, sailing, aqua bikes, skiing and much more. 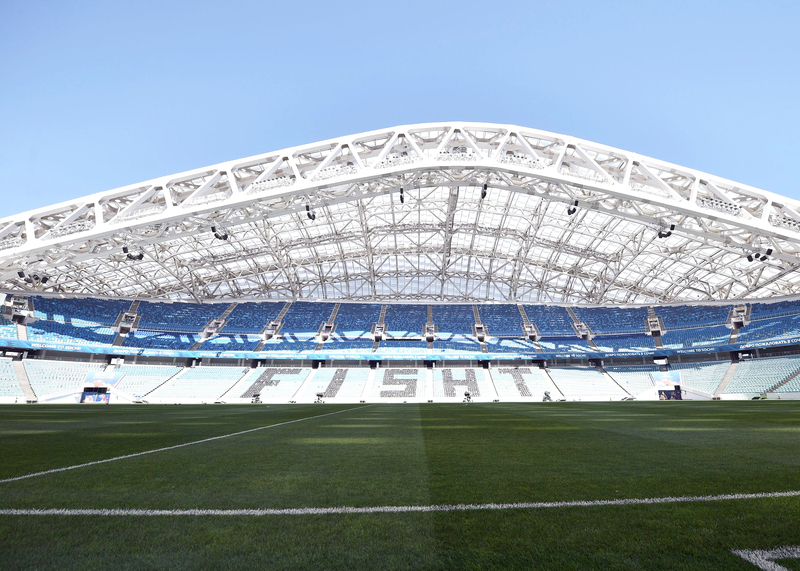 Sochi is going to host 6 matches (from 15 June to 7 July) at Fisht Stadium with the capacity of 48,000 people. Located in the Olympic Park, the stadium was built for the Winter Olympics in 2014 and hosted the opening and closing ceremonies. The stadium was reconstructed for the 2018 FIFA World Cup and was re-opened in 2017, when the venue hosted FIFA Confederations Cup matches. Fisht Olympic Stadium is located in the city of Adler, southeast in the greater Sochi area near the Georgian coast and right on the shore of the Black Sea. The city of Adler also contains Sochi’s international airport and has a major train station. The stadium lies 12 kilometers from the airport and 11 kilometers from the railway station. Bus 57k connects the airport with the stadium, and bus 57 runs from Adler train station to the stadium. The daily trains that connect the Sochi area with the rest of the country also stop at Imeretinsky Kurort (Имеретинский курорт) station, which lies within walking distance from Fisht Olympic Stadium. Address: Olimpiyskiy prospekt, Adler (Олимпийский проспект, Адлер). Ticket sales started on 18 April, so hurry up to buy them! Private individuals can buy tickets at the FIFA website. For companies and organizations, FIFA offers hospitality packages. Sochi is served by the Adler-Sochi International Airport located 30 km from downtown Sochi, in Adler which is part of Greater Sochi. The Aeroexpress train service is the fastest means of transportation to downtown Adler or Sochi, bypassing any traffic jams (the price is about EUR 2.5). You should check the electric train timetable a week before your trip. The cheapest way to get from the airport to Sochi is by bus: around EUR 0.2 for a 1.5-hour trip. The bus stop for routes from the Airport to the city is located right in front of the arrival terminals. Some buses will take you to the biggest mall in Sochi, while others can get you to the train station. They depart every 15-30 minutes. The third option is a microbus. Although route microbuses are more frequent and faster than buses and electric trains, they are of lower comfort level. You will pay from around EUR 0.2 for a 40-minute trip (depending on the route). Take into account that they have no fixed timetable! Taxis and transfers from the airport to Sochi are not the cheapest travel option, but they have some benefits. If you arrive at the airport at night, you won’t be able to get to the city by any means of transport, except Sochi taxi. A good alternative solution, in this case, is to hire a MeetnGreeter, who can arrange you the most comfortable transfer, drive you to destinations or help you to rent a car. 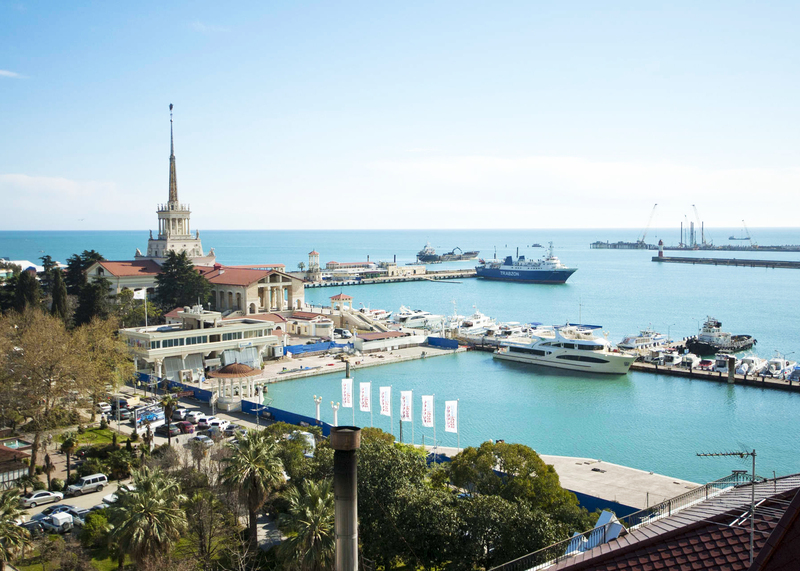 If you arrive at the main Sochi railway station, just relax as it is located right in the heart of Sochi. You can travel anywhere in the city or to the coast from here, in most cases directly and without any changes on the way. Unlike other Russian cities of the same size, Sochi does not have any trams or trolleybuses. Public transport is represented mainly by bus and taxi. The best way to track public transport services on a map in real time, know exactly each vehicle’s time of arrival, plan your journey by public transport or on foot is to use a free Yandex.Transport App. Numbers from 1 to 99 are city buses, numbers from 100 and above serve suburban routes. Key stops are located near the Central Station, ‘Novy Vek’ (‘Новый Век’) shopping mall in Adler and at the airport. 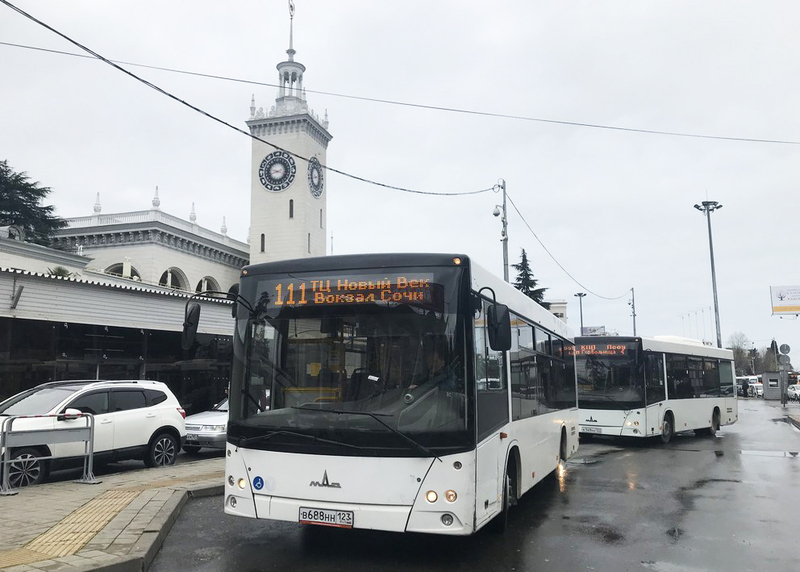 The fare in public transport within the city is 23 rubles, and the price of travel between the districts of Big Sochi depends on the distance. Marshrutka (mini-bus) is the main transport in Sochi. They duplicate numbers and almost completely repeat the routes of city buses, but go much more often. For reference, the interval of large buses is 15 minutes and of minibusses is 5-10 minutes. A ride across the city costs 23 rubles, too. In all this chaos you might think that taxi is the most convenient way to travel across the city. But not in Sochi, as taxi drivers all around the city (and especially at the airport) will definitely offer you inadequate prices for a ride. The best solution is to use UBER, Yandex.Taxi or ask locals to arrange transfers for you. If you decided to visit multiple matches and multiple Russian cities during your trip, you will probably go there by plane or by train. If you choose the last option, we want to share an interesting feature we have found for you: here you can obtain a free ticket for trains between 11 FIFA 2018 Cup host cities. The right of free travel is granted to FIFA 2018 Cup visitors having a game ticket for the respective city and a Fan ID. Mind reading a ‘FAQ’ section and booking the tickets in advance as their number is limited. Sochi has plenty of hotels (200+), and their number is steadily increasing. Anyway, the cost of stay is quite high (it usually doubles during the summer season and will, for sure, be several times higher during the FIFA 2018) comparing to many European destinations. On the other hand, many small hotels and hostels appeared in Sochi recently, but only a few of them are able to meet average international service requirements. Hotel staff often has problems with hospitality, helpful answers and advice, and with speaking any other language than Russian. In this situation, we highly recommend you to stay in chain 2-3-4 star hotels with reasonable prices and acceptable level of English. Another option is to hire a local on our platform who will find you affordable and cozy accommodation depending on your needs and budget. Some options that we trust include Park Inn by Radisson Sochi City Centre, The Radisson Lazurnaya Hotel, Hotel Pullman Sochi Centre and Mercure Hotel. We suppose it is wise not only to attend the FIFA sports events but also to discover Russian culture and traditions. Happily, MeetnGreeters know how to combine everything in one trip and make it unforgettable. Sightseeing in Sochi is less about iconic cultural and historical attractions and more about recreations, beaches, parks and sporting facilities. 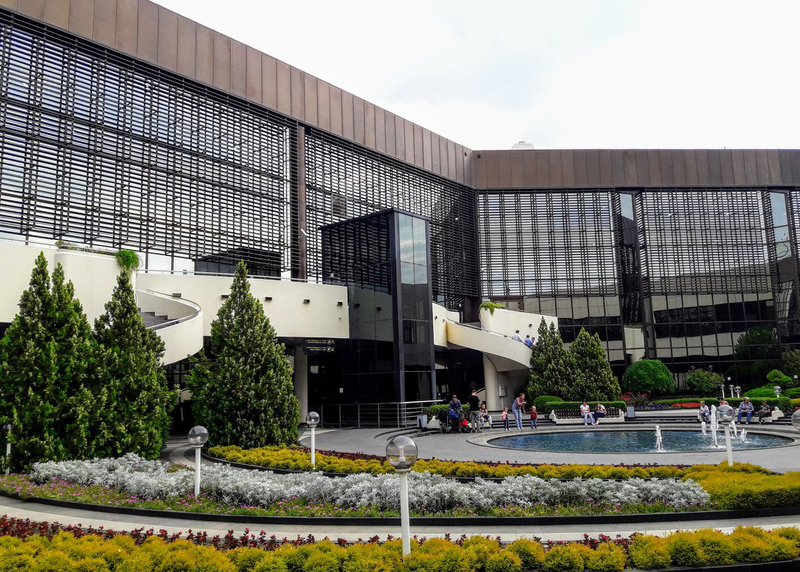 That is why popular attractions within the city include the Arboretum Botanical Garden with beautiful views over the city; Riviera Park where 250+ species of plants grow; the Loo Temple, including ruins dating back to the 12th century; and the Discovery World Aquarium, an excellent marine facility. 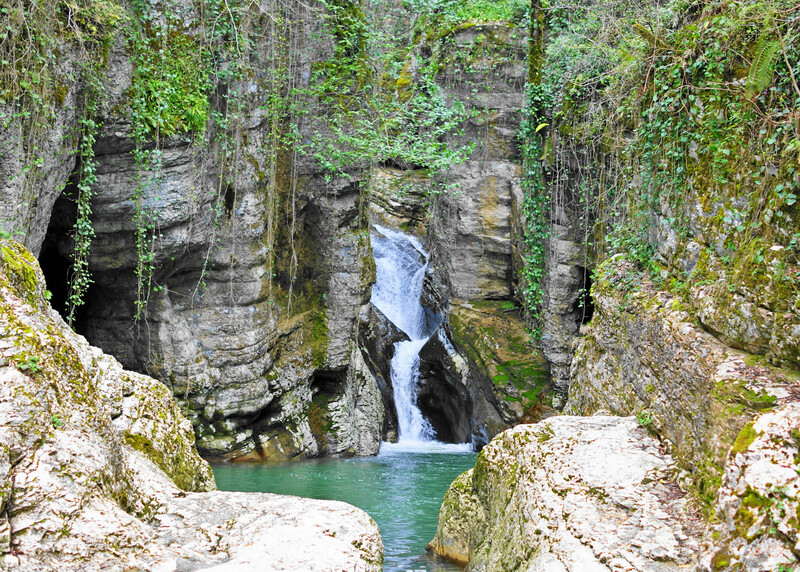 One of the best places in Sochi is Agura Waterfalls formed by the majestic Agura River flowing down from the Alek Mountains. The highest waterfall is 30m, and the lowest is 20m. The path to the waterfalls winds its way through a sub-tropical forest and is considered to be one of the most beautiful spots in the area. And in case you want to turn off these beaten tourist paths, order a personal city guiding service from one of our English speaking locals. They know the city inside out and they can simply create a route tailored to your interests and tastes. Head to the Sochi Central Market (ul. Moskovskaya, 22; ул. Московская, 22) in the Adler neighborhood for snacks from the local vendors. Try some churchkhelas (traditional Georgian candle-shaped candies), fruits, vegetables and baked lavash, which is the main bread of this region. 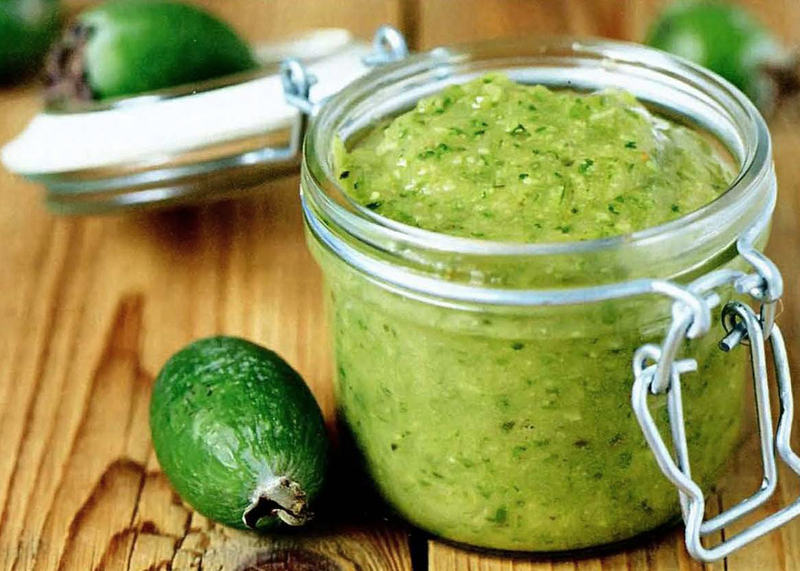 Try all the free samples that you can see and then choose your favorite. To start your day right, have breakfast at a local bakery called Bulki Na More. It opens at 8 am daily and is considered among locals to be one of the best places for morning rituals that include pastries, sandwiches, and juices. Treat yourself with coffee at Wood Coffee Cafe, located in the central neighborhood of Sochi. To compare, pop into Barabas Espresso Bar or Grill’age. Dinner at the famous local restaurant Che? Harcho!. Start with local snacks and move on to khinkali. And don’t forget about their tasty home-made lemonades too. Discover contemporary Caucasian restaurant located in the central area of Sochi. Vysota 5642 combines classical Caucasian recipes with modern gastronomical trends. By the way, feel free to ask locals about the best restaurants and street food places! 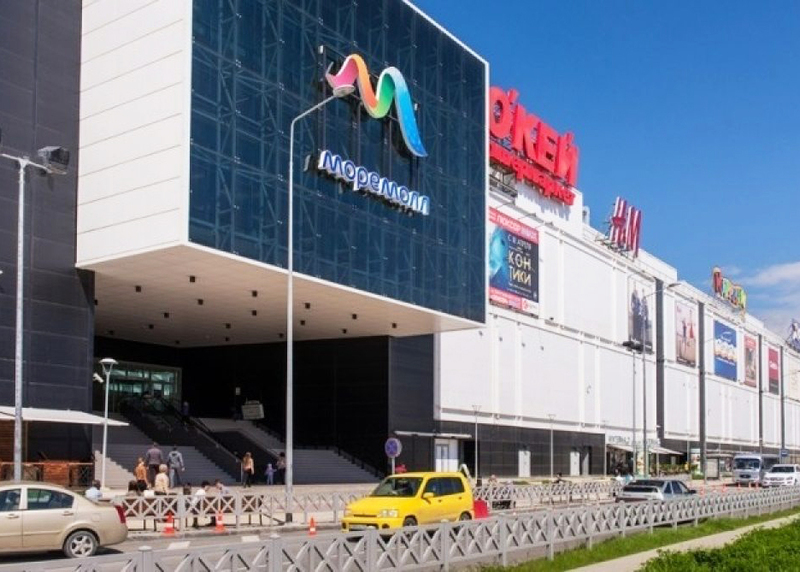 MoreMall (Моремолл)– is the mall beloved by locals most of all – has 3 floors with 350+ shops (both world-known mass market shops and stores of local designers are present here) and 35+ restaurants and cafes. Another option – City Plaza Mall (Сити Плаза Молл). As for biggest shopping streets, Navaginskaya st. became one of the main shopping areas in the city, containing a whole lot of various shops, where it is possible to buy everything: from souvenirs to bags, from food to photo camera spare parts. One special local thing that should be bought either as a souvenir or as a treat for yourself is a Krasnodar tea. This is the only tea variety grown in Russia, being the northernmost one in the world (due to climate conditions, it’s impossible to cultivate tea to the north from Sochi). The amount of its production is limited, so it’s not easy to meet it outside Krasnodar Krai. 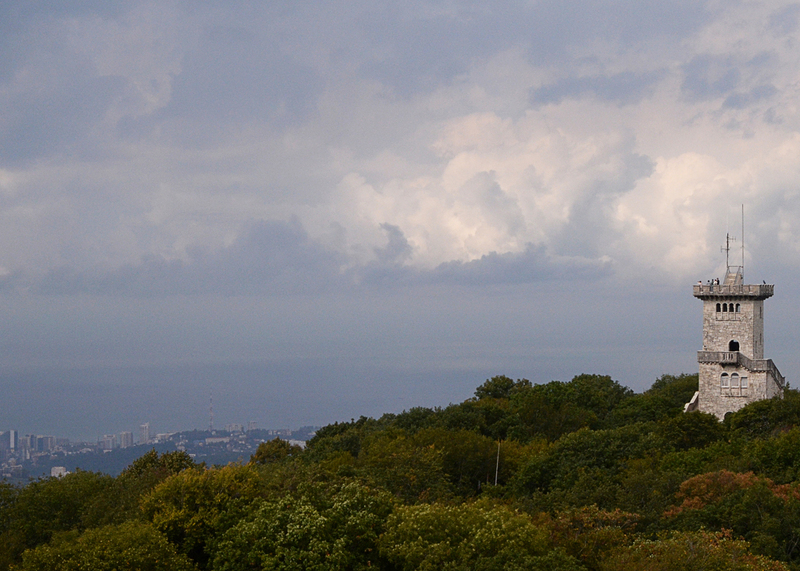 Akhun (Ахун) is the highest point in the coastal part of the city; it is covered with forest and surrounded by high water rivers and the Black Sea. Akhun’s height is about 660 meters above the sea level. The excursion to Akhun is still one of the most popular in Sochi and the Akhun tower with the most beautiful views is open to the public during the whole year. Here you can even try tea from a Russian samovar along with honey and thick traditional pancakes. Vorontsov Caves are also a major point of interest. These caves are considered to be the most extensive cave system in Russia, their total length is around 11 kilometers. The Prometheus grotto attracts tourists particularly because of its outstanding size: 120 meters long and 20 meters high. Here you’ll see limestone blocks, stalactites and stalagmites on the walls and ceilings. Will you ask your MeetnGreeter to add this place to your travel plan? If yes, you’ll surely not regret! If you want to have a longer journey in between the matches, why not to head a little bit further – for example, to Abkhazia? Honestly loved by many Russians, Abkhazia is undeservedly mostly unknown by travelers from other parts of the world. As Sochi is the only place with Abkhazia border crossing possibility from the Russian side, you have a chance to discover this state. There is a crossing point at Vesyoloe (Веслёлое, the southern part of Adler district) and it can be crossed both by foot and by car/bus. Coming to Abkhazia by foot, you will find a marshrutka parking right after the bridge – it is a cheap opportunity to reach any key destination of the country. The Abkhazian capital Sukhum is also reachable by a direct bus from Sochi. Be prepared that going to Abkhazia you need to comply with Abkhazian visa requirements (starting July 2017, it is possible to obtain a visa-on-arrival for short ‘excursions’ into the country at the border crossing near Adler/Sochi in Russia). Be also aware that, to return back to Russia after a trip, you may need a double-entry or multi-entry Russian visa. Charter a yacht, helicopter, etc – Sochi is a coastal city, and what can be more pleasant than a dinner on a yacht? Our MeetnGreeters will do their best to find you the most affordable and comfortable option.